When you choose to further your education through Morton College, you can be assured of quality education with learning that will help shape and guide your career. Our courses are delivered by industry-savvy trainers and provide the perfect pathway to employment or further study no matter where your life is at. 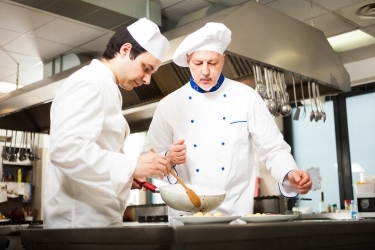 Morton College’s School of Culinary Excellence offers a range of courses and qualifications for Hospitality and Food industry. Our courses are designed to give you both knowledge and experience, with practical hands-on learning through ties with variety of work places like cafes, restaurants and more. Many of our courses offer the opportunity to work in your chosen field prior to completing the course, so you know exactly what to expect when you enter your new profession as a skilled graduate. If you already have skills, but you don’t have a formal qualification, you can contact us for recognition of prior learning. Take the online tour of Morton College to learn more about our college and reasons why you should study with us.